Hello Everyone! Summers are up here and so is the time for beach and today I have got for you some of the best organic non toxic lip balms from the land of beach – Goa. 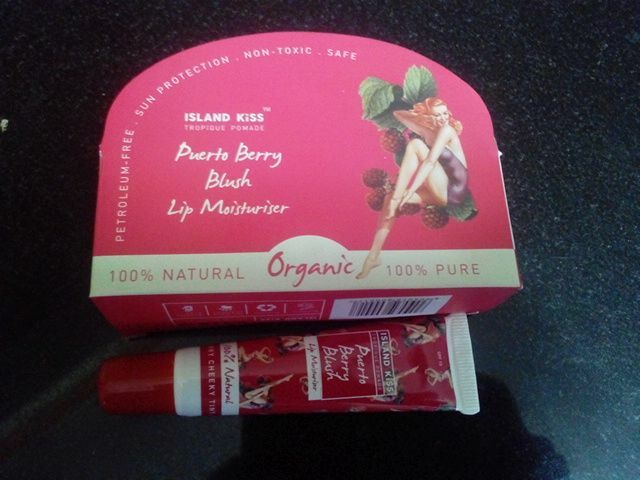 Yes its ISLAND KISS ORGANIC LIP BALMS – 100% Natural and Pure. I was not aware of this brand before but once I got to know about it, I was super excited to use it because of super impressive colorful chic packaging. Take a look at these full of colors Island Kiss Lip Moisturizers. Puerto Berry Blush - Generous, chubby blooms of kokum butter and organic almond essential oil along with a cocktail of strawberry, raspberry and blackcurrant come together juicy and tart. Tropical sensuality opens with a burst of raspberry and the exotic, fruity aroma of Alphonso mango butter. Cherry Blossom Flores - Creamy like cherry petals and dewy like water droplets on the first blossoms of the orchard, the floral facet of cherry blossoms creates a luxurious, sensuous, composition of soft pink island lips. Its organic SPF nourishment enhances lip soaking in the sun and snow. Alma Vanilla & Ignes Lavender - The heart warming, luxurious pairing of vanilla and lavender aims to intoxicate your senses, relax your lips and calm your mind, conjuring an atmosphere of island excess and feverish soothing. Its organic SPF nourishment enhances lip soaking in the sun while you are carried far away by the scent of warm vanilla sugar. Organic, Petroleum free, Non-Toxic, Paraben Free, sulphate Free,Vegetarian,Suggestible. Not tested On animals, Cruelty Free & Recyclable. Packaging – Before moving on to the review I would like to share a bit on the super impressive packaging of these lip balms. These lip balms come in a beautiful lip tubes, same as that of colors and tint. The outer box is sturdy and colorful similar to its respective tint with the beautiful fairies on it. The look is so attractive that one cannot ignore just after a glance of these chic lip smacking moisturizers. These three shades are totally different in their own way and cover almost everybody’s requirement in their own way. The one that is Puerto Berry Blush is a deep pink reddish berry sort of dominating shade. If you like wearing dark shades lipsticks and glosses, then this one if for you. It instantly brightens up you entire face since this is the most pigmented shade with dark pink berry tint. You can also use these as a blush for that rosy effect. I just love wearing this shade in parties and where I need to flaunt my attitude with my makeup. 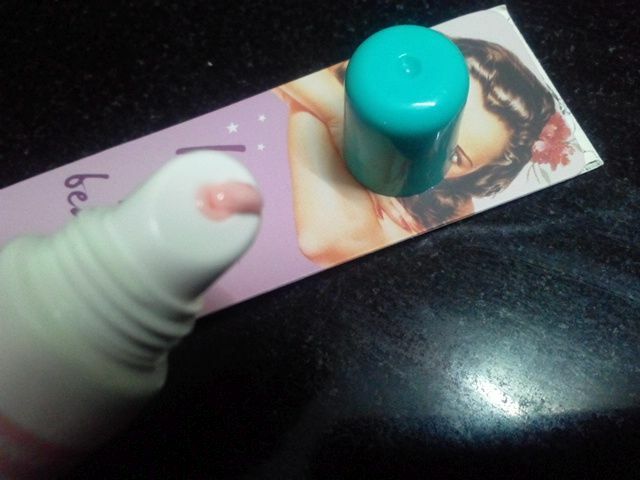 Next is this Cherry Blossom Flores which is a very gentle and a very soft pink shade. It’s great for those looking for natural pink lips since its super light and makes lips look naturally pink. Its super moisturizing to add the extra layer of softness to dry chapped lips. But if you have pigmented lips, then using this lip moisturizer alone all by itself won’t work since it would highlight your pigment even more. Last but not the least comes this Alma Vanilla & Ignes Lavender Lip Moisturizer – This is most natural shade and gives a neutral color to your lips. Those who like to wear clear shades glosses on their lips with just a tint of shine should go for this one since this gives natural clear color to your lips with added shine making it a great shade for daily office wear. I guess this one would look great almost on all lips be it naturally pink or even the pigmented ones. All these tinted lip moisturizers from Island Kiss are great in their own way. They are moisturizing, nourishing and give a slippery feel to your lips. The best part is that these are purely organic, non toxic, natural and safe to use. My favorite out of these is Cherry Blossom Flores since it makes my lips looks naturally pink and plump, though I don’t use it all alone, rather using a natural lip liner before for that extra effect. Island Kiss Lip Moisturizers are truly one of the best tinted lip balms I have come across. They nourish, moisturize and soften lips naturally without harming them in anyway, being purely organic and non toxic. Add these to you kit to enjoy those soft beautiful lips naturally. These are easily available online at Nykaa. Organic, non toxic, natural lip balms. Beautiful tints with lip moisturizers. Gives a nice slip to lips. Contains SPS for sun protection. Lip tints shays on lips for hours easily. Fragrance in the beginning might be little irritating for sensitive nose types. 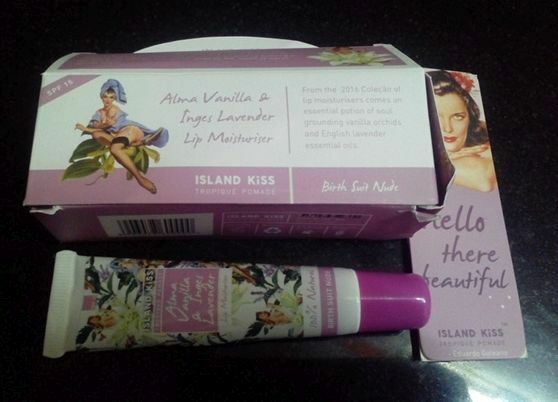 Labels: Island Kiss Organic Lip Balm, Lip Balm for soft lips, LIP CARE., Lip Gloss, Organic Skin Care Products. The berry shade looks amazingly pigmented. I need to try out these lip balms. ive never heard about this brand! !